Observation - Robin - UK and Ireland. 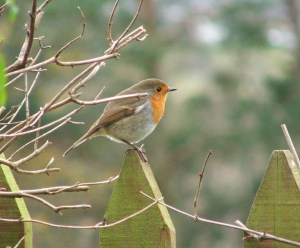 Description: Red breast, visits garden regularly, bouncing around my feet while I'm filling the bird feeders. Red breast, visits garden regularly, bouncing around my feet while I'm filling the bird feeders.